Also, a special thanks to Celeste for creating our more humorous logo. 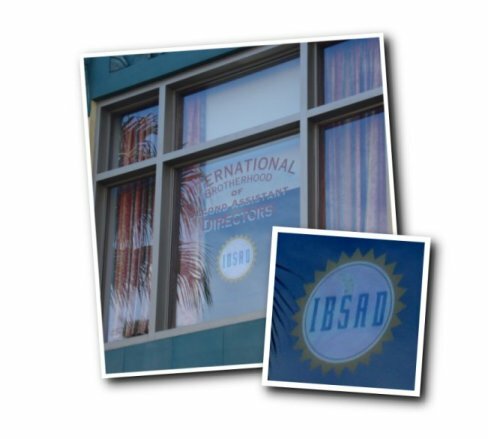 In a previous Daily Figment, we discussed the IBSAD window on Sunset Boulevard in Disney’s Hollywood Studios. Today, we are proud to induct the second member into this esteemed international brotherhood. The second greatest Second Assistant Director of all time is…..
Next time you are strolling down Sunset Boulevard in Hollywood Studios, look up at the window and pay homage to Jeffrey.